WOODS, WATER and WILDLIFE bears in the woods wildlife fabric. 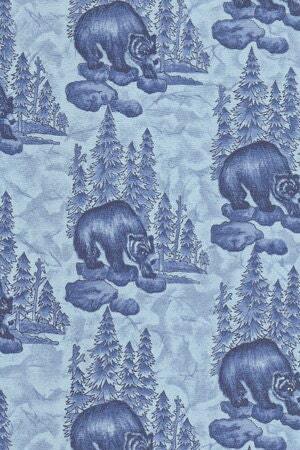 Woods, Water and Wildlife fabric line depicts wildlife in the woods in beautiful shades of blue. Add any of the coordinating fabric from this line to complete your quilt. All fabric from The Quilted Nursery is cut directly from the bolt. Fabric is 42-44 inches wide.